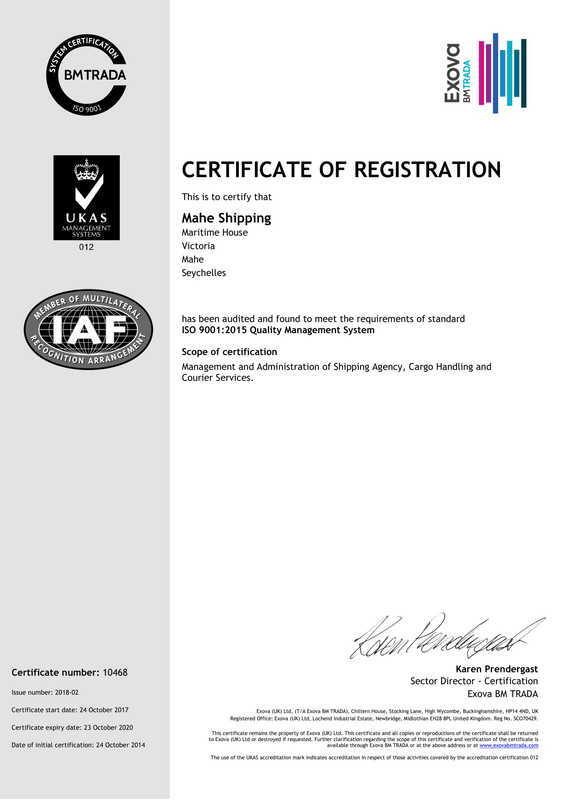 Over the years Mahe Shipping has provided comprehensive and high quality services in Seychelles to the Japanese and Taiwanese Fishing Vessels. We also provide services to reefer vessels loading tuna. - Application and processing of Fishing Licenses with Seychelles Fishing Authority and Seychelles Licensing Authority. - Nominating / Clearance and Coordinating vessels movements with Port Authorities. - Coordinating loading / discharging / Transshipment with other vessels or other receivers. - Reports to owners of vessels activities in Port. - Customs clearance and delivery of Spares. - Immigration formalities and attending to Crew Singing On/Off either alongside or at anchorage. - Attending to crew medical requirements and repatriation if require. - Supply of fresh water, provisions, bunkers and luboil. - Mail and Courier Services. - Co-ordination of minor repairs when required. Our standard of service includes 24 hour attendance by a staff member dedicated to the client's vessel which commences upon initial communication received from the vessels or owners. MSC maintains long term relationships with the Port Authorities, stevedoring companies and Customs. The company is well-connected to local suppliers, thereby ensuring a fast turnover of vessels and smooth operations at competitive rates.